Chris Perales loves racing at the Texas Motorplex. For the 2nd year in a row Perales walked away with the World Championship in the 10.90 Index class. 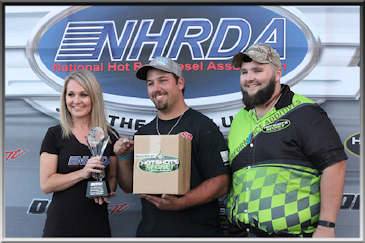 Pearlaes went undefeated this season in the state of Texas as he took home the win back in April at the Texas Diesel Nationals.